Last week, Indian Prime Minister Narendra Modi was on a three-nation visit to Southeast Asia – Indonesia, Malaysia, and Singapore – in an effort to give a fillip to India’s ‘Act East’ Policy. India’s Act East Policy acquired fresh momentum when Modi re-launched the original Look East Policy at the East Asia Summit in 2014. 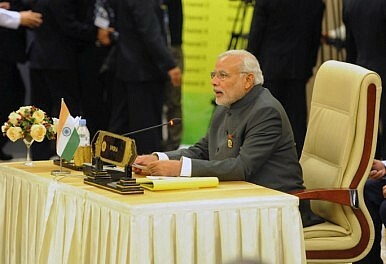 Most recently, the leaders of the ten Association of Southeast Asian Nations (ASEAN) countries were in India for the 69th Republic Day celebrations in January 2018, a reflection of the growing strategic convergence between India and Southeast Asia in ensuring a free, open, and transparent Indo-Pacific. 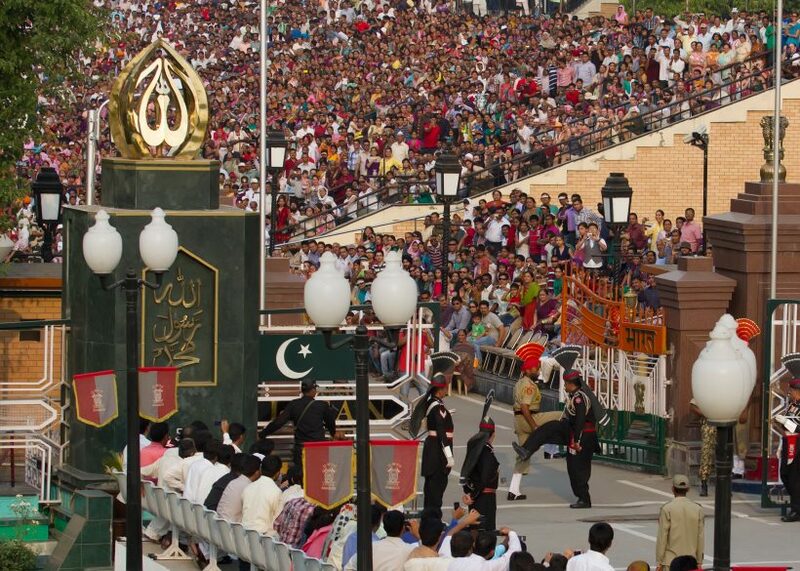 Pakistan and India’s vastly divergent political trajectories are often treated as a puzzle. Despite the fact that the people of both countries had a common past, India has ended up as a vibrant democracy with elected governments firmly in control, whereas Pakistan has witnessed a series of direct military interventions in the past and though it has an elected government in place for some time now, the army still controls Islamabad’s foreign and domestic policies from behind the scenes. This has created a severe civil-military imbalance that is retarding Pakistan’s progress. By institutionalising fundamentalism Gen Zia ul Haq sowed the seeds of sectarianism and due to this Pakistan is today reaping a bitter harvest of religious intolerance and it is ironical that India which Islamabad accuses of being a ‘Hindu nation’ has a far better record of ethnic and communal diversity than Pakistan. Bottom Line: Pakistani citizens are heading to the polls next month in a public display of democracy and choice. Yet, with Pakistan’s military continuing to play a leading role in the country’s political affairs, it seems that the upcoming elections will once again amount to a stamp on an otherwise inevitable outcome. The elections come on the heels of Pakistan’s 20th anniversary of Youm-e-Takbeer, the day commemorating the country’s first nuclear test. For Pakistan, Youm-e-Takbeer symbolizes the country’s monumental achievement of becoming the first Muslim nation to obtain a nuclear weapon. The day also emphasized Pakistan’s resolve for defense and solidarity. Distrust of electoral institutions haunts Afghanistan’s prospects of inclusive and credible elections as it embarks on another elections year. 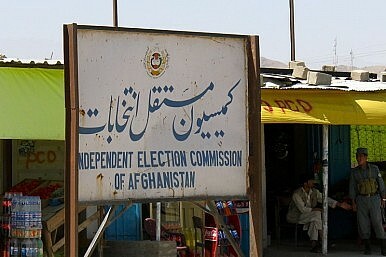 In a bid to restore public trust and confidence in the democratic process, the election law of 2016 requires the conduct of new voter registration in order to prepare a polling station-specific voter list to reduce instances of electoral fraud ahead of the long-delayed parliamentary and district council elections, which are scheduled on 20 October this year. The newly set up Independent Election Commission (IEC) formally launched the voter registration process – using the original paper national identity cards – on April 14 with the first phase scheduled to be completed on June 22. Just a month and a half away from national elections, Pakistan’s powerful military establishment has mounted a fearsome campaign against its critics in the news media, on social networks, and in mainstream political movements. It is all adding up: journalists abducted or threatened, major news outlets blocked, sympathetic views toward the civilian governing party, the Pakistan Muslim League-Nawaz, censored or punished. Interviews with journalists and political analysts in recent days have been dominated by concerns that a military campaign of intimidation and crackdown on dissent is intensifying ahead of the vote — and nearly unanimously, none dared discuss it on the record. As trade negotiations between the United States and China continue on their bumpy and uncertain path, U.S. agricultural producers face the threat of retaliation across multiple fronts. This graphic illustrates where business and political fallout could be most keenly felt outside the intensive soybean production of the U.S. heartland. It has been 29 years since tanks rolled into Tiananmen Square from both east and west in Beijing, killing hundreds along the way, and irrevocably changing the history of modern China. 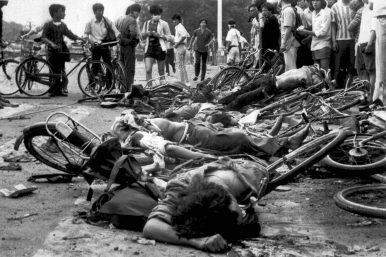 In early 1990, a few months after the massacre and not long after a six-month period of martial law and curfews had just been lifted in Beijing, a Chinese Red Cross official told this correspondent that her organization’s official tally of the dead was 2,312. I was on a domestic flight in China, the only foreigner, as was often the case at that time. I do not know the woman’s name, nor did she want me to. She saw me sitting in a row just in front of her and created an opportunity to speak to me. She was nervous and afraid. She had every right to be. People had been disappearing in Beijing for months just for talking to foreigners. American strategists seem to agree on little these days, except to say that America is in grave danger. Some maintain that Iran is the root of all evil and believe that a final showdown in the Middle East is now inevitable since the Obama-era nuclear accord has been abrogated. Still more are anxious that a major war with North Korea is just around the corner, because after all the probability of theSingapore talks succeeding is rather low. Journalists have begun tofret about an old question—once quite theoretical—concerning whether the U.S. military could “handle” medium-sized wars against both Iran and North Korea simultaneously. The Kremlin’s basic economic strategy is to trade efficiency and growth for political control and a tight rein on Russia’s strategic sectors. Russia’s economy has faced substantial difficulties since 2013, although it is once again performing reasonably well and there is no basis for believing that sanctions will force a change in Moscow’s foreign policy. Confronted with sanctions, low oil prices and reputational risks as a result of its foreign-policy actions, the Russian government responded to the economic crisis of 2014 without pursuing major economic reforms. The Kremlin eschewed potentially disruptive economic policies beneficial for growth but detrimental to the regime’s primary bases of support in favour of cutting budget deficits, reducing public spending and maintaining – and even expanding – political control over the economy. More widely, Russian President Vladimir Putin’s approach since coming to power has been similar, heavily prioritising macroeconomic stability in managing the economy. Mid-May marked the one-year anniversary since the Belt and Road Initiative (BRI), China’s massive foreign policy initiative, held its first official Forum in Beijing. International reception of the initiative has been mixed, with the United States, Europe and Japan in particular expressing concerns about China’s possible ulterior motives, including in Europe. By contrast, there is little discussion of Japanese investments in Europe other than general agreement that more of them would be welcome. The countries in Central and Eastern Europe (CEE) in particular enthusiastically welcome Chinese investments with little consideration about potential hidden economic and political costs, and put comparatively little effort in attracting more Japanese investments. To say the economy of Canada has significant dependency on the United States would be an understatement. This is evidenced by the fact that one-fourth of Canada’s GDP comes from its U.S.-bound exports. This dependence is even sharper when viewed in terms of Canada’s most lucrative and important export – petroleum oils. That’s because the U.S. is practically Canada’s only customer for this critical commodity. In fact, 99.1 percent of Canada’s crude oil exports went to the United States, according to Canada’s National Energy Board. At the same time, only 44 percent of U.S. oil imports comes from Canada. BONN, Germany—It was a cyberattack that showed just how vulnerable Germany’s digital infrastructure truly is. In the summer of 2017, a group of hackers infiltrated NetCom BW, a regional telecommunications provider with about 43,000 subscribers in the state of Baden-Württemberg in Germany’s southwest. Given the company’s modest size, it may not seem like a prime target. But NetCom BW is a subsidiary of EnBW, one of Germany’s biggest power utilities. EnBW is part of what the government regards as its critical infrastructure: companies that operate crucial public services, from electricity to telecommunications to health care. Mapping a city’s buildings might seem like a simple task, one that could be easily automated by training a computer to read satellite photos. Because buildings are physically obvious facts out in the open that do not move around, they can be recorded by the satellites circling our planet. Computers can then “read” these satellite photographs, which are pixelated images like everyday photographs except that they carry more information about the light waves being reflected from various surfaces. That information can help determine the kind of building material and even plant species that appears in an image. Other patterns match up with predictable objects, like the straight lines of roads or the bends of rivers. Facebook gave at least 60 device manufacturers, including Apple, Blackberry, Samsung, Amazon, and Microsoft, access to huge amounts of data about users and their friends, the New York Times reported on Sunday. These companies in some cases received access to information about a user’s religion, political views, relationship statuses, and other personal details. The manufacturers also reportedly got access to information on users’ friends, even if they tried to prohibit their data from being shared with third parties. Joe Burton does not work for, consult, own shares in or receive funding from any company or organisation that would benefit from this article, and has disclosed no relevant affiliations beyond their academic appointment. As the investigation into Russia’s interference in the US election deepens, it is becoming obvious that the events in 2016 are just the tip of an iceberg. Ever since the Russian cyber assault on Estonia in 2007, policymakers and cyber security scholars have debated how best to deter cyber attacks that cross international borders. Yet both state and non-state actors continue using the internet for malicious purposes with an unacceptable level of impunity. 3D printers already produce everything from prosthetic hands and engine parts to basketball shoes and fancy chocolates. 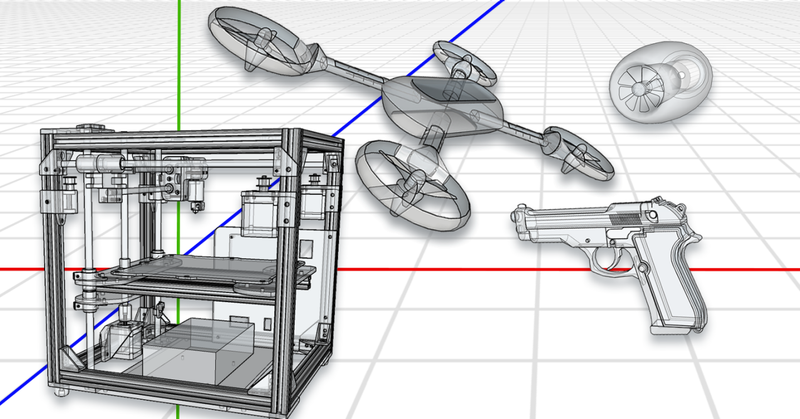 But as with any technological advance, new possibilities come with new perils.​​​​​​​ A new RAND paper, Additive Manufacturing in 2040: Powerful Enabler, Disruptive Threat, explores how 3D printers will affect personal, national, and international security. The paper is part of RAND's Security 2040 initiative, which looks over the horizon to anticipate future threats. The same technology that might one day custom-print heart valves can just as easily produce gun parts. The same machines that allow astronauts on the international space station to print their own tools might also help a state like North Korea print military or industrial equipment to get around international sanctions. Here are four areas to watch as 3D printing makes the leap from high tech to home tech. The mechanical, robotic striving of university politburos and their jack boot managers have always been interesting when it comes to one particular topic: the role of technology and its adoption. For it is in technology that the mediocre paper clip shuffler can claim to have achieved something – on someone else’s back, naturally. The shift to Google by universities as a storage and communication mechanism was something taken with a breezy obliviousness to its implications. For Google, it was a magical boon: mass concentration of staff and student data, cloud facilities, the magic of information. Such decisions are generally taken without asking the staff who actually use it – the nature of university management is piously anti-democratic, with all the usual balloons of sentiment about faux consultation and the like. 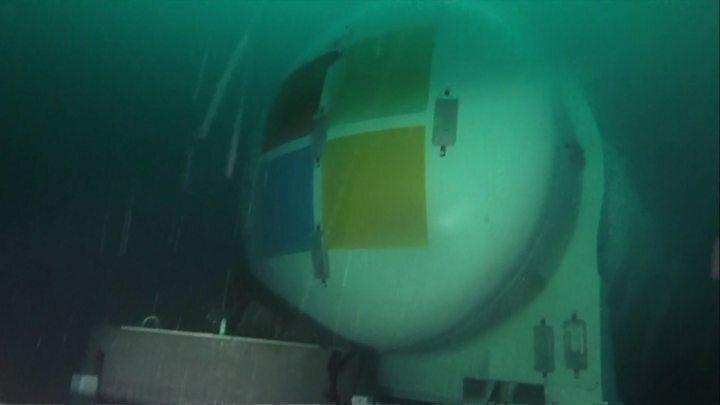 Microsoft has sunk a data centre in the sea off Orkney to investigate whether it can boost energy efficiency. The data centre, a white cylinder containing computers, could sit on the sea floor for up to five years. An undersea cable brings the data centre power and takes its data to the shore and the wider internet - but if the computers onboard break, they cannot be repaired. Orkney was chosen because it is a major centre for renewable energy research. For the Department of Defense, that question keeps many planners up at night as they ponder how to answer cyberattacks that aim for users during internet browsing. 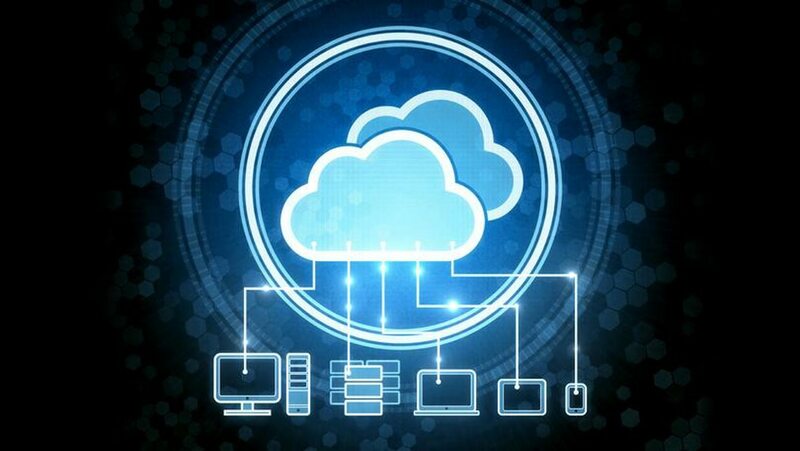 To address the issue, the Defense Information Services Agency has begun to consider the potential of cloud computing. A recent request for information by DISA explores the feasibility of an enterprise cloud-based internet isolation capability that “would provide defense against a variety of attacks that exploit DoD networks and compromise end clients.” DISA envisions the enterprise cloud as able to “redirect the act of internet browsing from the end user’s desktop into a remote server” external to the department network. The isolation of all internet code execution in the cloud intends to prevent malware from entering the network through web use. By infiltrating vendor software that’s used in larger supply chains, criminals could compromise tens of thousands of enterprises simultaneously. Even major forces within the tech industry could become susceptible to breach. The U.S. Army Recruiting Command asked RAND Arroyo Center to undertake research to improve its understanding of soldiers' motivations to join the Army, and how the reality of Army life matches up with expectations. Who joins, why, and how satisfied are they with their decisions? This study's portrayal of the U.S. Army private could serve as an educational tool for a variety of important audiences, such as Army senior leadership, junior officers, noncommissioned officers, and prospective new recruits. To conduct this study, RAND researchers interviewed 81 soldiers, ranked E-1 to E-4, generally assigned to their first Modified Table of Organization and Equipment unit. The findings from this study offer a rich description of experiences by a select few junior enlisted Army personnel; however, due to sample size limitations, the findings of this study cannot be generalized to the U.S. Army as a whole or to any rank or Career Management Field category. The research found that soldiers join the Army for family, institutional, and occupational reasons, and many value the opportunity to become a military professional. They value their relationships with other soldiers, enjoy their social lives, and are satisfied with Army life. The 12th edition of the annual Global Peace Index (GPI) report, produced by the international think-tank the Institute for Economics and Peace (IEP), revealed that the world is less peaceful today than at any time in the last decade. The 2018 GPI reveals a world in which the tensions, conflicts, and crises that emerged in the last decade remain unresolved, resulting in a g radual, sustained fall in peacefulness. The largest contributors to the deterioration in the last year were the escalations in both interstate and internal armed conflicts, rise in political terror and reduced commitment to UN peacekeeping. Syria, Afghanistan, South Sudan, Iraq and Somalia are the least peaceful countries whilst Iceland, New Zealand, Austria, Portugal and Denmark are the most peaceful countries. The international system that the United States and its allies created after World War II has benefited the entire world, but global political and economic engagement have left too many Americans behind. Over the last 70 years, free-market democracies have come to dominate the global economy, U.S.-led efforts have dramatically reduced poverty and disease, and the world has been spared great-power conflict. Yet many Americans—myself included—are increasingly coming to believe that our country suffers from a leadership vacuum. People are losing faith that their leaders will work to make all Americans better off and that they will rally us to join with our allies in order to craft cooperative solutions to the global problems that buffet us. Economic growth is delivering benefits for the few but not for the many. Political discourse has become poisoned by partisanship and egotism.